Titanic Belfast tells an important part of the Titanic story, bringing to life the building of the ship in the Harland and Wolff dockyards. I liked the first gallery you go into, which is about life in the city at the time, with shadows walking back and forth on the walls and a Marconi machine you can try; I especially liked the three-sided video projections that let you travel up inside the ship from boiler room to bridge; and the final gallery with the underwater footage of the wreck is eery and fascinating. I was less impressed by the ride round the shipyard, partly because half the projections weren’t working when we were there, but also because it just felt like a cheesy fairground ride. Also, the sinking of the ship is handled weirdly with an animated graphic showing how the water flooded in and caused the ship to upend and break in half, but I was distracted by the fact that in the graphic all the lifeboats are still in place as she sank – which is, of course, wrong. It’s inevitable that there will be early teething troubles in a project as ambitious as this. It would be good to get more of a transport and coffeehouse/restaurant infrastructure out there in the docks. When we arrived at 4 in the afternoon the museum coffee shop was shut and there was nowhere else to get a drink. The only other quibble is from local people, who complained about the fact that the signage is only in English, not Irish. Perhaps they’ll fix that in future. One of my books on display in Southampton’s SeaCity Museum. Southampton’s SeaCity Museum existed before 2012 but they’ve just spent £15 million on a permanent Titanic gallery upstairs and a temporary one downstairs – and they are fabulous! It has a very different purpose from the Belfast one, which becomes apparent as soon as you walk in to find a wall of cards, each commemorating a crew member from the city of Southampton or the surrounding area. The card tells you the individual’s name, post on the ship, age – and whether or not they survived. Some have pictures but not many, and I’m told this is because the museum can’t afford the fees charged by photo copyright holders. You’ll find far more crew pictures in John Eaton and Charles Haas’s book Titanic: Triumph and Tragedy. It’s there that I came across the photo of the young man who became the inspiration for Reg in my novel. There are some fantastic interactive items for children and an interesting plan of the ship showing how different areas were linked. The sinking is covered in a separate room where you can sit and listen to three local survivors describing their experiences, while looking at visuals of flowing ocean. The next section is the most moving of all, though. The floor has a street map of Southampton with a red dot on each house that lost someone on the Titanic – and there’s barely a row of three houses without a dot. You can listen to recordings of local people queuing up to read the lists of survivors, hoping against hope that their relative is safe, as well as local news reports from the time, and it’s incredibly sad. I had a huge lump in my throat. And then you come into a courtroom where the British Inquiry is re-enacted, with a recording of actors reading different sections of the testimonies. Although I’d read it all before, this was strangely compelling and we found ourselves sitting listening for ages. The downstairs gallery is all about the impact the sinking of the Titanic has had on the world since then: the films, books, games (yes, there’s a Titanic Monopoly!) and other merchandise, and it looks at some of the controversies (such as whether the rivets were to blame). Both museums were absorbing in their own ways, and if I’m slightly biased towards the Southampton one you can blame the fact that my book is on display in their downstairs gallery! 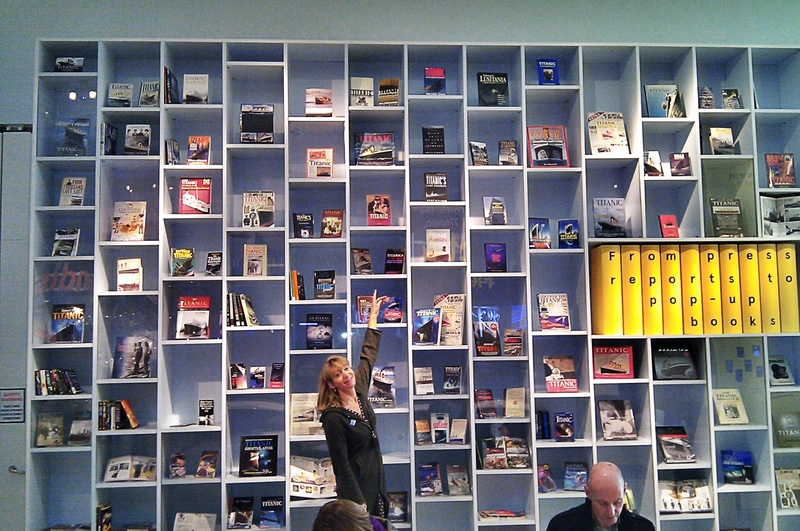 In an era when museum funding is at risk, it was great to see truly imaginative and thought-provoking displays that would engage adults and even the most computer-game-addicted child. Do visit when you can. What were the crew doing as the Titanic sank? in a stately home or a steward on board a luxury steamship. Your needs were far less important than those of the people you served; in fact, your life was less important than theirs. 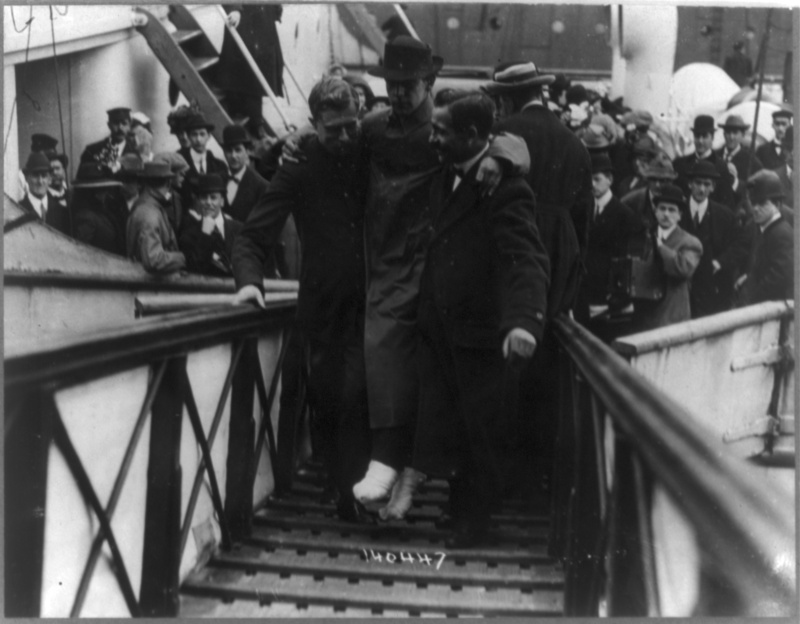 Injured wireless operator Harold Bride is helped ashore in New York. After the Titanic hit an iceberg and began to sink, her crew continued to man their posts even once the situation was clearly hopeless. There are countless tales of selfless devotion to duty, and in most cases it wasn’t as a direct result of orders from superiors but just a sense that it was their role in life. That’s why the five postal clerks struggled to haul sacks of mail above the level of the rising waters, while stokers kept tending the fires long after the ship had come to a halt and obviously wasn’t going anywhere. Seamen rushed around checking all the watertight bulkheads were closed and manning the pumps, trying and inevitably failing to keep water out of each of the ship’s compartments. Stewards occupied themselves with ushering passengers to the boat deck, while officers supervised the loading of the lifeboats and the firing of distress rockets. The orchestra played on the boat deck. Chief baker Charles Joughin organised the distribution of loaves of bread among the lifeboats while in the wireless room Jack Philips and Harold Bride kept sending out distress messages long after Captain Smith had relieved them of their post. In fact, very faint wireless calls were heard from Titanic up to the last minutes of the ship’s life, although they were too weak to be read after 1.45am when the engine rooms filled with water. There were lights on board the ship until the last minutes because of the heroism of the engineers who stayed below deck pushing back circuit breakers that tripped as water got into the wiring. During the last 20 minutes, the lights flickered but they stayed on. How much worse would the experience have been for all if it had been conducted in pitch blackness? Needless to say, none of those engineers survived. 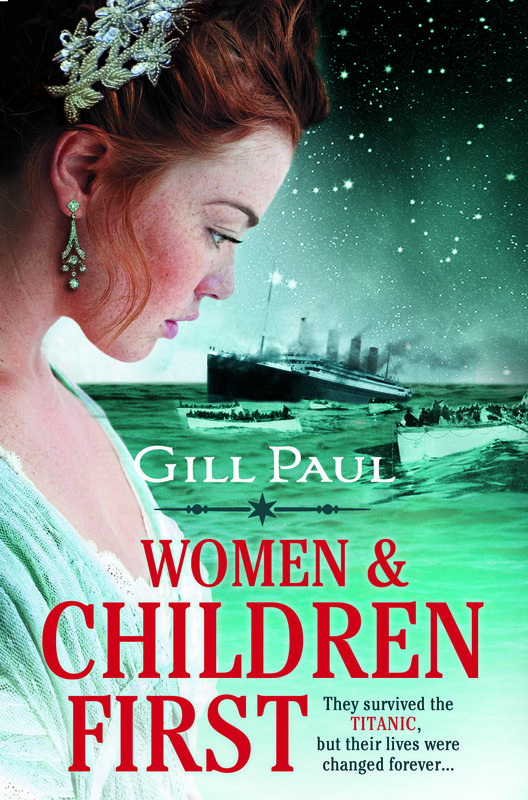 I chose a steward, Reg Parton, as one of the main characters in my novel Women and Children First, because it’s an aspect of the Titanic story that is less often told. What must it have felt like to know the ship was sinking and not be able to focus on saving your own life because of a sense of duty? Unlike the passengers, crew members knew there weren’t enough lifeboats, so they were aware that hanging around was tantamount to a death sentence. Of the 885 male crew, only 192 survived. On the 10th of April this year, more than 600 schoolchildren will march through Southampton each holding a picture of a member of Titanic’s crew. They will proceed from the Engineers’ Memorial in East Park to the new SeaCity Museum, where an exhibition will tell the largely untold story of the men and women who worked on the ship. It seems only right that during the many events commemorating the centenary of the sinking of the Titanic, the city that was home to the majority of the crew is honouring them in this way. Does period accuracy matter when you’re writing historical fiction? Costa award-winning author Andrew Miller said on the Today programme that he chooses a historical period and a setting for his novels then pretty much does what he likes with them. If you write gasp-out-loud prose like his, with extraordinary ideas and unforgettable characters, that’s absolutely fine with me. Julian Fellowes was recently criticised for using colloquialisms in Downton Abbey that weren’t in use during the 1910s in which series 1 and 2 were set (http://slate.me/wA8R9e). Did it spoil our enjoyment of the shows? Not one iota. In fact, using the jargon of the era can make dialogue confusing for modern readers and slow the pace of the narrative. If you’re telling a story, you don’t want to weigh it down with phrases that require clunky explanations, such as ‘goldbrick’ (1850s), ‘barnburner’ (1840s) and ‘horsefeathers’ (1920s). We long ago accepted that characters in Hollywood’s historical epics dress and talk more like movie stars than ancient Greeks or Etruscans. If your story and characters work, you have an entertaining product, whether it’s a novel, a TV series or a film. 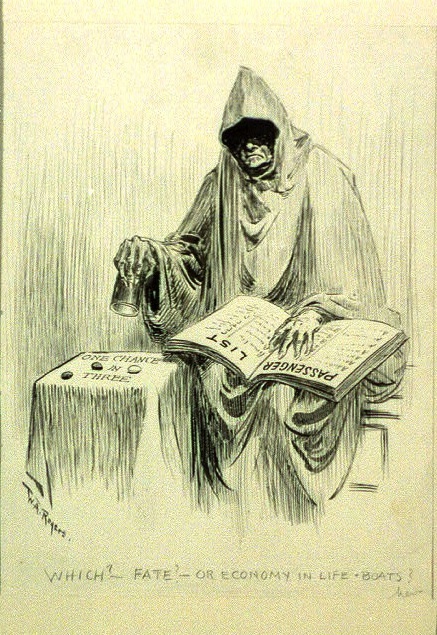 So why do I knock myself out trying to ensure my historical novels are accurate? 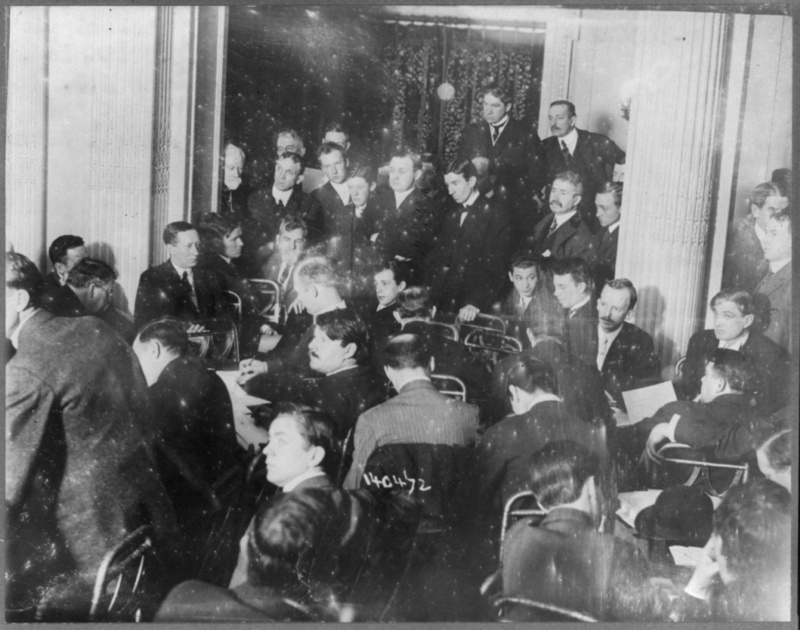 New York society at the time. I consulted old editions of Vogue for the clothes upper-class ladies would have worn. 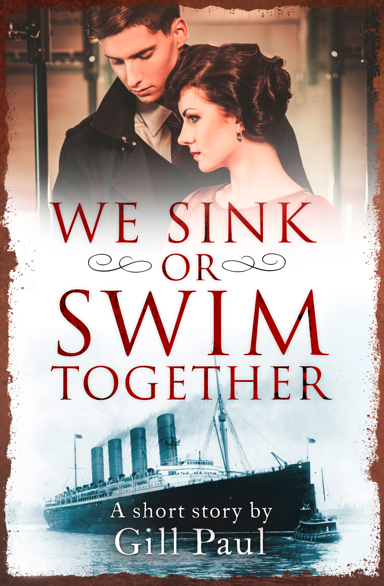 And although I invented some characters on board the Titanic, I made every single description of the ship and its sinking factual… at least I hope I did. But feel free to let me know if you come across any bloopers! Did locked gates prevent third-class passengers escaping from the Titanic? Daniel Buckley, a 21-year-old Irishman, gave rather contradictory testimony at the American Inquiry into the sinking of the Titanic. 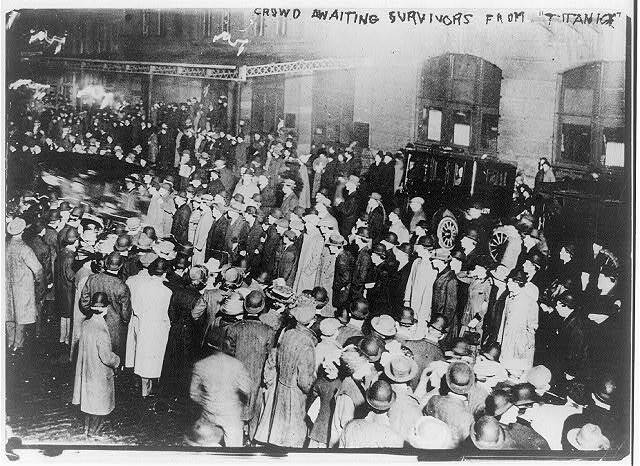 First he said he wasn’t aware of locked gates, then he claimed “they tried to keep us down on the steerage deck; they did not want us to go up to the first-class place at all.” He related seeing a sailor throw a third-class passenger back over a gate then lock it, but said his group managed to break it down and escape that way. This tale was repeated in the press and appears in many a Titanic movie – but no one else corroborated it. In fact, Berk Pickard, from Poland, told the Inquiry that he managed to ascend to the boat deck, from which lifeboats were being lowered, by walking through doors into second- and then first-class areas. The only barriers were signs saying “Second [or third] class passengers not allowed beyond this point” – but the doors could be opened by anyone. For the majority of third-class passengers, the overwhelming problem they faced after the collision was negotiating the rabbit warren of passageways, staircases and public rooms to get up to the boat deck, which was mostly in the first-class area of the ship. There was no single staircase leading all the way up through the six to eight decks they would have to traverse to get near the lifeboats, and no handy maps of the ship they could use. Even the staff had trouble finding their way around. Whereas first- and second-class passengers were guided to the boat deck by their room stewards, there were fewer stewards per head in third class, and only one – John Hart – appears to have fulfilled this role. An outstanding hero of the night, he led two parties upwards via a circuitous route and shepherded them into lifeboats, thus saving the lives of 66 third-class passengers who might not otherwise have made it. Among the most intrepid third-class passengers were the dozens who scrambled up a cargo-loading crane that towered over the third-class outdoor deck. When they reached the top, they had to shimmy along a gantry to reach the boat deck. It was survival of the intrepid. The ones who sat obediently below decks waiting for someone to tell them what to do would wait in vain. The many who didn’t speak English were doubly disadvantaged because they couldn’t ask advice or confer with their fellow passengers. There are tales of some seen dragging their steamer trunks and suitcases along corridors as the water level rose, because they had their worldly possessions with them on the ship and could never have afforded to replace them. A swell of third-class passengers finally found their way to the boat deck at around 1.55am – just as the last lifeboat was launched. By all accounts they looked confused as they gazed at the empty davits from which the lifeboats had been lowered. They had been let down by White Star Lines, to whom they had paid their fares, trusting that they would be transported safely to a new life on a new continent. They were let down by Captain Smith, who could have organised the evacuation of the ship much more efficiently. And they were let down by the Inquiries, who only invited three witnesses from third-class to testify, out of the 178 who survived against the odds.